Just like the T340 unit, the Trimline T350 HR treadmill would also give you great value for your money. For just $200 more than the T340, you'll get better display, a more powerful motor, and comes with heart rate features, which makes this model more desirable. I believe this treadmill would benefit almost everyone. Whether you’re a beginner or a veteran runner, this model has something for you. But if for some reason you simply don’t feel like buying this model, then you could always check out our best buy treadmills page and choose a treadmill that fits you best. 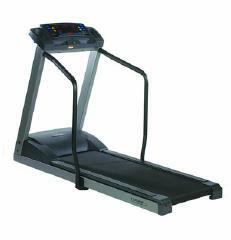 The Trimline T350 HR treadmill offers you 2.5HP continuous duty motor, which can reach speeds of up to 11 mph. Combine that to the 12% maximum incline and you’ll get a very intense workout. The 20" x 57" phenolic deck surface is ideal for both walking and running. While Trimline's Softrak II cushioned deck system promises comfort by cushioning impact to avoid any joint, knee and ankle injuries. Durability is assured with the 2 ply running belt, 3" welded steel frame and the 2.5" balanced machined rollers. They all work hand in hand to extend the life of the treadmill to make it a tougher, more hassle-free machine. The 10 x 14 dot matrix visually displays course profiles so you can prepare for upcoming hills and other challenges. 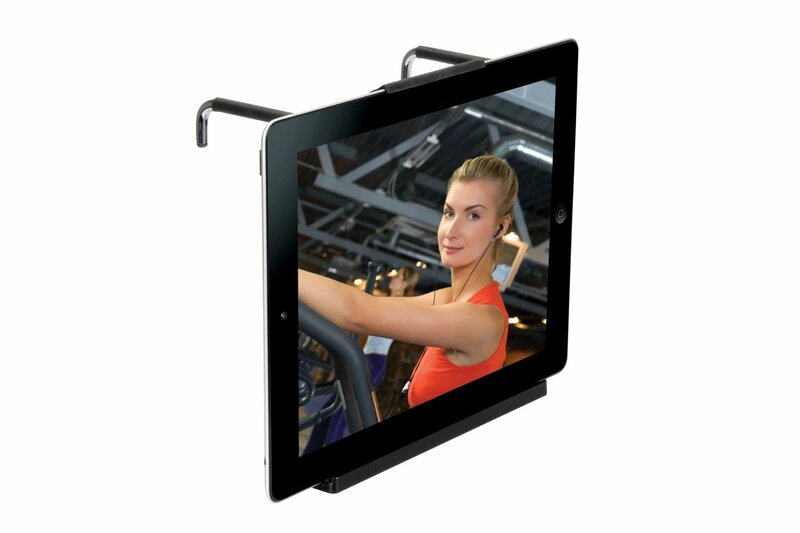 While the 9/16" LED displays provide feedback on time, speed, distance, incline, calories, pace, and heart rate... allowing you to easily monitor and adjust your workouts. Another added feature for this treadmill is the results mode. It displays your average speed, average heart rate, total calories, total distance, total elevation gain, and total treadmill odometer so you can easily check your progress. The Trimline T350 HR treadmill also comes with 5 preset and 3 custom programs to provide plenty of workout motivation and variety. And unlike the T340 model, this one also includes 2 heart rate programs (and a heart rate chest strap) so you can workout in your target heart rate zone that maximizes fat loss. Finally, as one would expect, this treadmill comes with great warranties. It has a 30 year motor warranty, 30 year frame warranty, 2 year parts warranty, and one year labor warranty. It would be hard to find a weakness for the Trimline T350 HR treadmill, especially since they are selling it as a mid-priced treadmill. But it would have been better if they made the deck surface a little bigger. Still, I would consider this as one of the better treadmills below $2,000. I recommend the Trimline T350 HR treadmill. This model is definitely hard to beat. If you plan on buying a Trimline T350 HR treadmill, I suggest you buy it from Amazon. This model is currently being sold for $1,898.00.